Accepting oneself for who they are is a journey. It comes with time, patience, and above all – love. 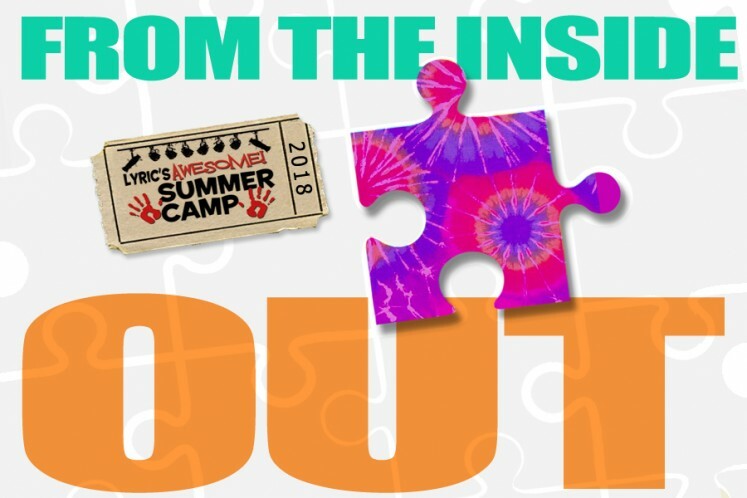 Campers will come together in a harmonious musical extravaganza of what it means to accept and respect the individual staring back in the mirror. CONTACT NUMBER: The best number to reach me once camp is in session is via text or calling my cell phone: 772-713-1316 or via email: education@LyricTheatre.com. Please DO NOT call my Lyric Theatre office number, as I am here at camp and WILL NOT get your call. DON’T FORGET Sunscreen & Bug Spray! SUPPLY WISHLIST: If you have any of these items around the house and care to donate to camp – we would REALLY appreciate it! Reminder: Please DO NOT drop off your campers before 8:45am. Dismissal is at 4pm. Please DO NOT pick them up early unless it is for a doctor’s appt, etc. We will be rehearsing for our show and unnecessary absences make it very difficult for the rest of the cast. WEEKLY EMAILS & UPDATES: Each week, I will be emailing you with important information about upcoming special events, projects, themed days, etc. Please be sure to check your email and our website regularly for important information. THE SHARING: Our big show is Friday, June 29th at 6:30pm. On Show day, campers are to arrive at the normal 9am time, but will stay at camp until the sharing at 6:30pm. We will use this time for rehearsal and a PIZZA PARTY! If your camper had dietary restrictions, please send in or drop off an alternate meal. The Sharing is generally around 60 min. long and is followed by a brief awards presentation. Your campers will them be signed out to you at THE LYRIC, following the ceremony. Each camper is entitled to two complimentary tickets to The Sharing. Additional tickets may be purchased through me at Flagler Place for $5 each – Cash or check made out to The Lyric Theatre only please. Seating is first come, first serve. Doors open at 6pm. General Admission seating. VIDEO/PHOTOGRAPHY: You are welcome, and encouraged to video the performance. Photos are OK as well. PICK-UP AND DROP OFF: Please drop off NO EARLIER THAN 8:45am & Pick-up PROMPTLY at 4pm. Flagler Place has a circular drive way which will serve as our car loop. Drivers will enter on the South side of the building. Camp counselors in Bright Blue Camp Staff shirts will be in place to guide you. WALKERS – Campers that walk to and from camp (only for ages 10 and up, require written consent of guardian). POLICIES/RULES: I hope you have all reviewed the handbook with your campers so that everyone has a clear understanding of our policies. · Closed Shoes ONLY – Campers wearing sandals, flip-flops, clogs, etc. will have to sit out of activities until someone is able to bring appropriate shoes. · NO CELL PHONES – Cell Phones will be confiscated upon use. Children needing to contact their parents, may ask a counselor to go make a phone call. · NO valuables, video games, IPods, IPads, etc. – The Lyric will not be responsible for loss or damage of personal properties such as these. · Bullying of any kind is grounds for immediate dismissal. Tuition will not be refunded for students dismissed for behavioral problems. LUNCHES/SNACKS: Your camper will need to bring 2 snacks & a brown bag lunch each day. PLEASE NO SODA, CANDY OR OTHER SUGARY SNACKS. Refrigeration or microwave use is NOT AVAILABLE.